Over the years, Australian cricket has been extremely good to many players in their 30s. This particularly applies to captains of the team. 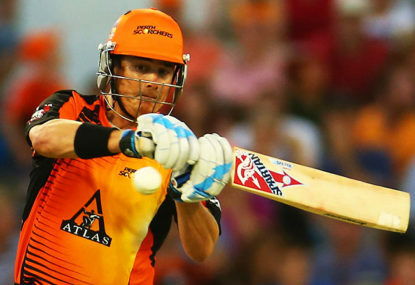 7/182 beats 2/179 every time in the Big Bash. It’s such a pity for Perth fans. 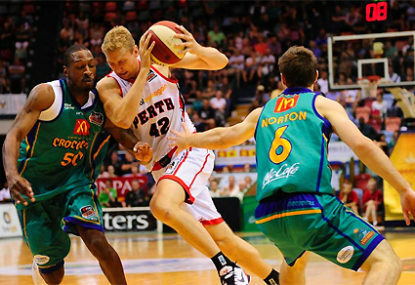 The Perth Wildcats only had seven opponents during the just-finished NBL season, and they had two players who contributed over half their total offence in every category. It is not physical ability which separates the West Coast Eagles from the Fremantle Dockers. Man for man, they are every bit as good physically. With a repeat of the NSW Blues V Western Warriors now confirmed for the Sheffield Shield final to be held in Canberra, and after stoic efforts from Victoria and Tasmania in the last round, and with Queenslandand South Australia falling at the final hurdle, this has been a magnificent season for Australian cricket. 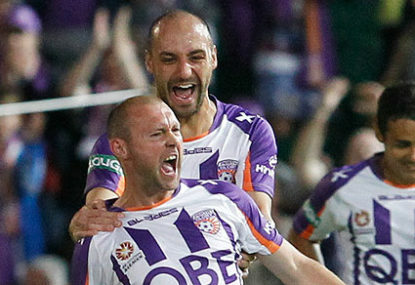 The clamour for heads to roll at Perth Glory is ridiculous. Sometimes when I’ve had enough caffeine to sink a battleship I feel indestructible. Is it too early to say Australia is world's best? One of the things that has given me great pleasure watching cricket over the last 55 years has been the progression from rank amateurism to professionalism. 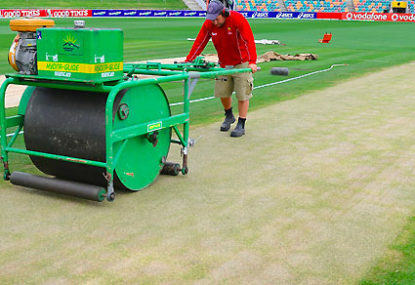 The game of cricket revolves around a flattish strip mown and rolled in the middle of the ground. Set the boundary ropes up 70 metres away and you can play a game. When Stuart Robertson wrote the recipe for T20 Cricket he knew exactly what he was doing. He had precedence as a guide, and it was called baseball. The points system the determines the world number one Test ranking in cricket was under the pump last night, as a strangely off-colour South African pace attack was tamed by a calf-injured cowboy cricketer by the name of Shaun Marsh, and a deck that got easier as the ball got older. Three Sheffield Shield matches are being played around Australia and a total of less than 1000 people attended on day one. Kevin Pietersen is gone and Shane Watson is hurt, again. They fired Alex Rodriguez. They fired Barry Bonds. They got rid of Lance Armstrong. Hobart Versus Perth. 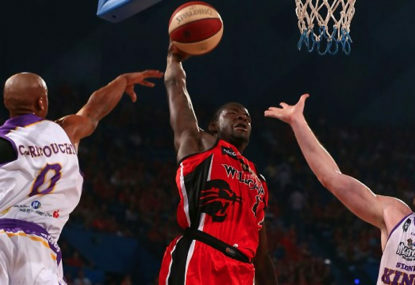 The Hurricanes versus the Scorchers. 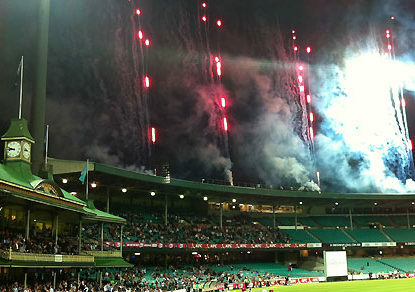 Big Bash T20 cricket. Mean anything to you? Did it get your attention? Why is the Big Bash in such a hurry? The Big Bash is still growing up. KFC couldn’t be happier. If this is what it is after four seasons,who knows, the sky is the limit. 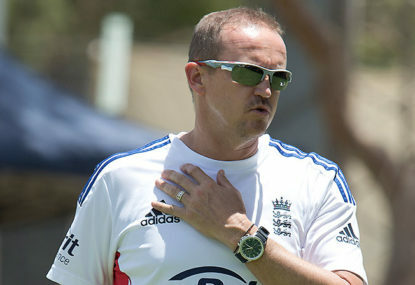 Hidden in Andy Flower’s resignation speech was the direct answer to English and world cricket’s systems. In colts grade cricket in the ’60s and ’70s a senior player with a teaching bent was often allowed to captain the team. He might have been in his 40s or 50s typically and the nurturing came from a man, not another kid. While I’m no great fan of Steve Rixon as a coach, I think he’s spot on when it comes to his criticism of Cricket Australia’s Pat Howard and the atmosphere that has backed the players, coaches and selectors into a corner, fearful of what will be done next. Before I launch into this, I have to acknowledge that the Cricket Australia and ICC people have an onerous job to do. I’m not sure but I think Justin Langer said that at one point Klinger had 8 successive centuries in a row against all comers. 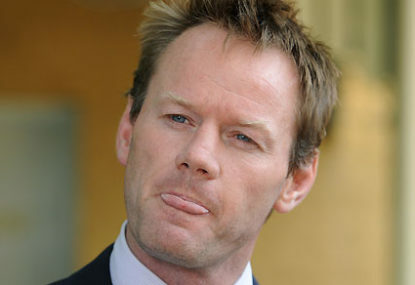 He has been fantastic in WA> He and Adam Voges could play for Australia for another 5 years if they were 30 years old. that’s the issue which Australia has been very poor at. They don’t get these guys in to one or some of the 4 Aussie teams which play internationally, Tests, T20, ODI and Australia A. He will come back to WA a tired man I think after having to go back. All he can continue to do, as is the case with Adam , is to stay fit, score more runs that any of the youngsters and continue to press for Selection. Playing under Justin Langer has galvinised the belief of both Klinger and Voges, and all the kids who play for WA in Scorchers or Warriors. Guys, Guys …please read the following…I think this is exciting, the discussion on Cricketers , Family and the scheduling that you bring up. Cricket is cricket. T20-Test-ODI. Every player of the 200 major leaguers who play Big Bash, Sheffield Shield, Matador and International Cricket and are eligible to represent Australia can be picked in any Australian team, and would love to be. Australia is the world’s best cricket nursery. 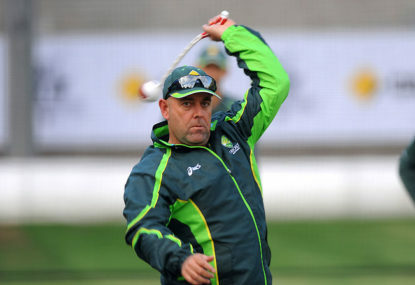 It is simply a policy of Rod Marsh and Darren Lehmann to not let certain players get involved in one or more of the 3 forms of the game, especially during or after long, laborious tours. These 2 month Ashes Tours are hard on families and cricketers alike. It is why I advocate for shorter Series in a World Cricket League. The players could have a season planned out for them 12 months ahead, know when they will be free from Cricket commitments and can plan for their families holidays etc. As it is now they must commit to Australian T20, ODIs, Tests, and often Sheffield Shield , Matador Cup and BBL…then give 2 months to the IPL. They are rushed all over the globe and family life suffers. That aside, if you take the last year I’m betting 50 players have played for Australia in T20-ODI-Test-Australia A. Isn’t that incredible? Fantastic opportunities are available for kids from 17 to 37 to get into one or more of the 4 Australian rep teams. That is why Cricket Australia is a giant Farm System, not a squad. There are guys coming out of the selectors ears from all over the country. They come from the Shield, BBL, the Matador, from Australia A, the District Competitions, U’19’s etc …..1 million of them are out there busting a gut to get a baggy green. And the best 200 are always being looked at by Selectors. Cricket Australia and all the people connected with it represent 1 billion dollars Australian in value if you had to replace it. Think about what a juggernaut cricket has become in this country. We have lost almost an entire team of veterans…and we are in wonderful shape I believe. Don’t worry about what Rod Marsh says…he’s a worry wart. For instance, CA could send a separate 15 players to the ones who are going to Bangladesh and beat their best. But let’s take the present day and the future. WA’s Justin Langer would love to see Marcus Harris join Cam Bancroft as Australia’s premier opening partnership. Lawry and Simpson, Langer and Hayden is in the back of his mind. So let’s call them 1 and 2, just for argument’s sake. 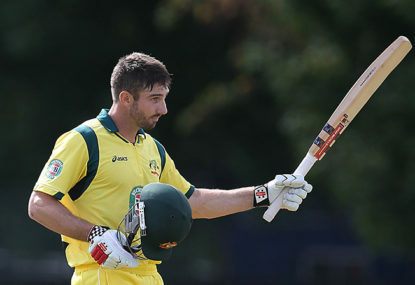 Steve Smith 3, Joe Burns/Usman Khawaja 4, Dave Warner 5, Glenn Maxwell 6, Phil Nevill 7, Mitch Johnson 8, Mitch Starc 9, Pat Cummins 10, Nathan Lyon/Adam Zampa/ Ashton Agar 11 or lower. Okay, then is this our best 11? Bancroft, Harris, Smith, Khawaja, Warner, Maxwell, Nevill, Starc, Johnson, Cummins, Zampa! Maybe not right away…but soon. Get a long term opening partnership going which incorporates the kids, Bancroft and Harris so they learn to blunt and belt opposition teams. Move Warner to a place where the shine is off the ball, which is 4 or 5, for the rest of his career. I would agonise between Burns and Khawaja at 4. Maxie at 6 or higher if neither Burns and Khawaja make it. Maxie loves to bat low. Mitch Marsh can be 6 in that event. 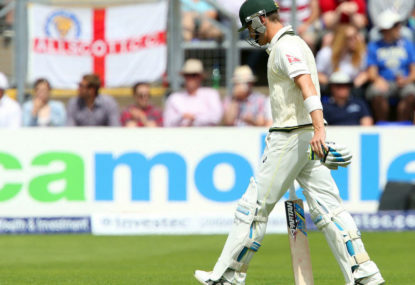 England used 2 dour openers to blunt us, and a batting order that was serviceable down to 9. We can easily emulate or beat that in time. What you have to love about this type of lineup is that all the kids are surrounded by 26-30 year olds….and it is so flexible through the 3 forms of the game. They all love to bat and show their wares. They love cricket! They bring a fresh and real excitement. Now we should keep Burns, Lyon, Agar, Josh Hazelwood, Mitch Marsh, Aaron Finch, Nathan Coulter-Nile, Matt Wade, Shaun Marsh, Chris Lynn, James Faulkner, James Pattinson very, very close at hand. Why? Because that would be the loyal and right thing to do if you are a good manager. They have already served Australia well. And rotate people such as Moises Henriques, Marcus Stoinis, Fekete, Steketee, Behrendroff, O’Keefe, Boyce, Pete Hanscombe through Australia A games, Aus T20, Aus ODI’s. etc, because that also would be the right thing to do. It brings certainty and structure to a cricketer’s life. Henriques and O’Keefe could captain and v/c the Australia A side. I’d love to see Maxie captain of the T20 team. Joe Burns his deputy. I’d love for Smith and Warner to continue as C and V/c of the ODI side and the Tests. This breeds continuity and allows for rotation of a number of key players through all 3 main sides. It also signals that the ODI team is the level just below Tests and that if you are in that team, you are being considered for Test selection. It breeds certainty, and structure. I’m sure I’ve missed someone because there are such great young kids in Oz cricket…but that’s enough to talk about now. Ahhh now we are getting somewhere..even without Alex. Cricket is cricket. T20-Test-ODI. Every player of the 200 who play Big Bash, Sheffield Shield, Matador and International Cricket and are eligible to represent Australia CAN BE PICKED. Rod and Darren have almost proved that. If you take the last year I’m betting 50 players have played for Australia in T20-ODI-Test-Australia A. That is why Cricket Australia is a Farm System, not a squad. There are guys coming out of the selectors ears. They could send a separate 15 players to the ones going to Bangladesh and beat them. But let’s take the present day and the future. Justin Langer would love to see Marcus Harris join Cam Bancroft as Australia’s premier opening partnership. Lawry and Simpson is in the back of his mind. Steve Smith 3, Joe Burns/Usman Khawaja 4, Dave Warner 5, Glenn Maxwell 6, Phil Nevill 7, Mitch Johnson 8, Mitch Starc 9, Pat Cummins 10, Nathan Lyon/Adam Zampa/ Ashton Agar 11 or lower. Keep Josh Hazelwood, Mitch Marsh, Aaron Finch, Nathan Coulter-Nile, Matt Wade, Shaun Marsh, Chris Lynn, James Faulkner, James Pattinson close at hand. Why? Because that would be the loyal and right thing to do. Alec, you and Ronan are good judges of these things. Don’t you think that Cricket Australia should pick 30 guys a year on Contract…and stick with them for one year. How can John Hastings, O’Keefe, Fekete and Voges appear suddenly when there are 30 guys out there who deserve a proper shot. I think Rod Marsh and Darren are just using their farm system as they wish. In other words, guys like Agar, Pattinson, Shaun Marsh, Adam Zampa, Marcus Stoinis, Chris Lynn, Pete Hanscomb, Ed Maddinson, James Faulkner, Jason Behrendorff would have been better choices in the One Dayers and the Bangladesh tour consistently. Pete Siddle went home and missed the One Dayers. Mitch Johnson the same. Maxwell and Burns didn’t go to England in the test Squad after playing against India. There is a looseness to it. Tours to India for Australia A are great. Under 19 overseas tours are great. But the top 30 cricketers in Australia should be contracted for 1 year, play all games involving all 3 forms for Australia…then be assessed. If you are less than 32 and fit , you should be able to play 3 forms of cricket. It will benefit you to do that. You learn by it every day. Cricket is like baseball. You have to play or practise almost every day for 6-7-8 months to be great at it. And I despair that we cannot get a world cricket League and a National Australia Cricket League to set scheduling in place for 3 forms of the game 12 months ahead. averages and stats don’t tell anybody anything other than what they want to believe. The key to Steve Smith’s success is the success of the top order batsmen. The bowlers will get 20 wickets if they pick a leg spinner. The batsmen need a world class thinker to teach them how to bat and nullify spin, seam and swing. There is no GREAT teacher of batting in Australia. We need to develop great batting coaches or import them to teach ours. Then we will resume our control of world cricket results. 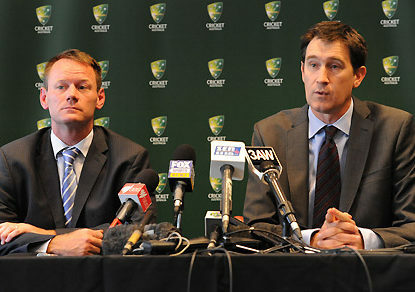 What is overwhelming is the Australian Selectors and Cricket Australia’s very bad policy for protecting fast bowlers. We won’t have any alrounders soon. The dependence on quicks bowling every 3 days, racing and diving all over the park, then maybe batting…is too much. The Rotation of fast bowlers work load must be implemented. the key to cricket is Even competition. so making the visitors choose who bats or bowls first as Ricky Ponting says is not the answer. Tests 1-3-5 should allow the Home Team to chose. Tests 2-4 the Visitors get to chose. The ICC Referee should oversee the preparation of the wicket. Playing random 1 and 2 and 3 Test series with random ODIs and T20 games is , well, random. Pointless. It does nothing for cricket. If we had a World Cricket League where 8-10 Nations played home and away Series of 1 Test, 1 ODI, 2 T20’s…all in 7-8 months with finals, we could crown World Champions every year in 3 forms of the game..
Could cricket scrap the coin toss? funny guy Watto. The injuries never would let him alone. How much of that was soft tissue damage from weights we’ll never know. But the selectors have made a mockery of the performances of other alrounders by sticking to him for the past 4 years. It has been a sin. Nat Fyfe and the Brownlow Medal matter for zilch! Hodge should have gotten 4 weeks…he could have fractured Winguards skull. He is a serial pest and needs to be rubbed out for longer. He has a bad record. Matthew Pavlich’s Achilles matters a lot. Ross Lyon’s negativity doesn’t matter a fig. The AFL flag matters a lot…it matters most of all things, including the Derby. If Fremantle start down this negative distraction stuff line they will fall over. They need to make themselves a fortress. Yep, it’s great that Nat got off the charge from the North Melbourne game. Yep it’s great that Pav took another week to rest his Achilles. He should take another week. The reason. The Dockers aren’t gonna win anything unless they forget Nat Fyfe’s Brownlow, which incidentally he will be flat out to win. Forget Lyon’s issues, forget playing Pav this week…and let’s see what the best team they can put on the paddock against Melbourne is. Let’s see them run out there and let the ferret loose! They need to have all Finals candidates up and running this week. They need to keep finding ways to win….against Melbourne, against Port…and in the first week of the finals. There is a lot of character in this Fremantle side…and Lyon needs to give them the incentive to perform at their best. After all, he may not be leading Fremantle in 2016 unless he sharpens up. Nat Fyfe and the Brownlow Medal matter for zilch! Luke Hodge got 2 weeks and deserved 4. He is a serial offender and for all his courage he is a dirty player…and needs to be counselled. Mark Taylor said of Steve Smith, “Get ready mate, here come the grey hairs.”. Michael Clarke and Chris Rogers can add colours to theirs. They were/are fantastic guys, salt of the earth cricketers of the Australian variety…like hundreds before them. The ECB finale for both was magnificent, and they were magnificent in their remarks to questions. Many thanks to Andrew Strauss and Gemma Ward for the send-off. It touched my heart. It reveals to cricketers everywhere that the strain, pain and pure athletic fun of cricket keeps the older and younger guys fit, healthy and wealthy…and wise….and that is the message it needs to send to young people. Cricket is NOT an elite sport. It is for the people. It is a great builder of character and has many great characters in it. I hope the ECB, BCCI and CA come to realise this. Cricket must be expansionist and inclusive of boys, girls, men, women…everywhere. There are 100 countries with boys and girls like Michael and Buck just waiting to get involved. They don’t need hubris and furore at the top. They need jobs in cricket to feed into! That means a World Cricket League and national Leagues in 3 forms of the game. They are great Aussies, Chris and Michael. They have tried with every sinew in their bodies to be great for Australia to win every game they played, which is why they won the final Test yesterday. And so they went out with a big smile and a weight like a piano off their backs. And we must honour them as heroes. They won’t be lost to cricket, Australian Cricket or any kind of cricket. They will be back for us to see on the Big Screen some time real soon. Thanks for everything fellas. You have that true Aussie spirit and have been a living example of it right throughout. Farewell Michael Clarke, Ryan Harris, Chris Rogers, Brad Haddin. You have been better than fantastic for we Aussie supporters. Thank you for every minute you gave us. The Ashes are history now. 2-3 has been okay…4-1 would have tasted a hell of a lot better. Shane Watson , Shaun Marsh, Pete Siddle, Adam Voges, Fawad Ahmed, Michael Klinger, George Bailey, Aaron Finch…you can stay/join, but only if you are 1000% fit, and perform. And don’t turn up just for the pay cheque. You won’t last 5 minutes. Steve Smith, Davey Warner…get ready to win…everywhere! Mitch Johnson, Mitch Marsh, Josh Hazelwood, Mitch Starc, Pat Cummins, James Pattinson, Pete Siddle, James Faulkner, Jason Behrendorff, Mark Steketee, Nathan Coulter-Nile, Sean Abbott…hang around. We’re going to have 4-5 quicks in every team that plays for Australia in Tests, 50 overs and 20 overs cricket…so get ready. We might even play Test matches with no spinner, Mitch Marsh at 6, Nevill at 7, Starc at 8, Johnson at 9, Cummins at 10 and Hazelwood or Siddle at 11. But we will be bringing along Ahmed, Agar, Boyce, Zampa, O’Keefe and Lyon for ODI’s, T20… and some Tests. Harris, Bancroft, Khawaja, Lynn, Maxwell, Burns…pack your bats and gloves and pads….get ready to play ODI’s and Tests…and some 20 over stuff. Matt Wade..start learning your trade. You are a keeper batsman…learn, or languish. Pete Nevill is yours to beat. If you were Justin Langer…err ‘scuse me…Darren and Rod…..this is what you would be saying to the above guys…very politely and nicely. Show me what you have got……and be true to yourself and Australian cricket. Turn up in shape and ready to rumble! Get the gloves on and get in the ring and toughen up petals. We’re gonna be the best we can be. From this day forward Australian cricket is not gonna be a bunch of uncertain hopefuls. We’re putting the pedal to the metal. We’ll pick 5 quicks and use up the full quotient of bouncers. I expect Starc and Johnson to provide violence and accurate mayhem. I want Marsh, Siddle, Faulkner and Hazelwood to hit the top of off 6 times an over. 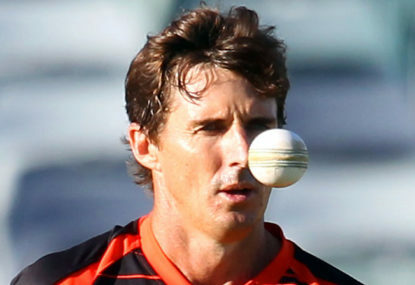 I want Cummins, Pattinson, Steketee, Behrendorff, Abbott and Coulter-Nile to learn the Yorker, the bouncer, swing, seam , reverse….at pace,…and with accuracy! If you don’t want to learn or teach yourself….don’t show up! That will be all. Get prepared for Bangladesh and New Zealand….and put your war paint on. To heck with the Haka! The Ashes: Has Siddle saved his Test career? It is not that they lost, but how. And Fyfe has no case to answer. Yes, the Umpires gave North Melbourne every chance to win, but that has more to do with the stupidity of the AFL laws than it has to do with the umpires. They can only call as they are told. Several calls by the 7 Commentators were absurd. They need to reflect on their bias. It is simply an Eastern States joke to everyone that Melbourne Teams and the Umpires can do no wrong. The North Melbourne Kangaroos showed why they can beat the Fremantle Dockers without Matt Pavlich by simply out-hustling the Dockers over the 120 minutes. North wanted it more. If the Dockers had 10 Michael Walters, players with aggression, perception, innovation, desire, hustle and commitment…they would win every game. There was nowhere near enough of that today. If they were expecting Pav to come and save them…they were sadly mistaken. Football cannot be about one man, it is about supporting your mates in numbers…and the Dockers just did nothing of the kind. So whether it is Pavlich or Walters…neither can win you the game. You need 22 running for one another to win a premiership. Mundy, Barlow, Neale, Mayne, Mizungu, Suban, Danyl Pearce, Dawson, Sandilands, Ibbotson, McPharlin and Johnson moved like they were on moggaddon at times. They just looked like a hesitant and negative team when positivity should be preached above all else. They looked like they had not played hard-nosed football for weeks…which is hardly the case. The whole Fremantle team stands off the ball in mauls waiting for it to arrive on the fringe of the ruck. North simply went in and got it. This Fremantle aversion to diving on the ball, trying to steal the ball, smashing into packs has a lot to do with the laws. I cannot for the life of me work out how a player can hold himself back from going and getting the football because that is what football is. It is disgraceful that players who risk life and limb to get it on both sides today were penalised. It is a disgrace for the game to penalise a man diving on the ball outside his attacking 50 in the last minute of play when he is opposed to 3 opposition players. He was trying to win it…not hold it under Mr Umpire. The Dockers should sack Neale and Barlow from their team now and let players such as Dan Pearce, De Boer, Suban, Ballantine, Spurr, Crozier play on the ball. They want the ball. Mundy is laborious, Fyfe was fabulous and poor in ball getting and retention, Mayne wants to hold players arms rather than win the ball, Sandilands has only one speed…slow and laborious. Zac Clarke is still a required player. John Griffin too. Stephen Hill needs to be a scorer and pilferer around the forward 50 and create run from the back and midfield as he roams the park. And Ross Lyon’s negativity for structured defence will kill the Dockers this season unless he wakes up. So out of the middle and stacking the offence, not defence, become critical for the Dockers from now on in. If they follow the same pattern of negative and over-structured play they will fail. They are all fine athletes, all need not to be restricted, they need to take ownership of the flow of the game without Lyon bagging their intent. They are playing with the weight of expectation and restriction from Lyon….that nexus is over now. There is no time for negatives. Quickness and toughness in the middle is mandatory. That is why I would bench Neale and Barlow. They don’t actually WIN the ball enough. The ball use today was scandalously meek for a 16-3 team, now 16-4. This is not a team who can look backwards. It has to focus on being totally positive, about running to support the ball, both offensively and defensively. Numbers! It has to be about numbers…which is what the West Coast Eagles and Hawthorn bring to the table. They run off the ball better than everyone else. Sure they get beaten occasionally…but their style of football is what the AFL rules demand. Only Hawthorn, the West Coast Eagles and Fremantle can win the flag in 2015. The Western Bulldogs are the best young team in footy and along with Richmond, GWS, Adelaide and St Kilda have been the young upstarts of this season. But they will struggle to get past the above 3 teams when the whips are cracking on the road in the finals. Sydney need a fully fit Buddy all through the finals if they are to make the Grand Final and that does not seem likely. Richmond are the Dark Horses. North Melbourne are a rough, very rough outside shot who along with the Bulldogs, the Tigers and Richmond will have to play away from home to progress. The Eagles stamped themselves as the team to beat Hawthorn today, and have equal billing with Hawthorn, whom they have not beaten yet! The Dockers, unless they can get people like Pavlich, Ballantine, Crowley, Clarke, Fyfe, Johnson and McPharlin back, and back in form respectively, are 3rd favourites. Their loss today to North Melbourne underlines their issues. Negative, defensive, not aggressive, not quick enough to win unless they make every match a scratching, biting, tackling goal-less affair. The Eagles had 100 points today with 5 minutes left in the 3rd quarter. Fremantle were lucky to get to 80 by the final whistle against the Roos. The style of play in a world of speedup suits the Eagles, Hawthorn and the Bulldogs most of all teams in the AFL. The Umpires are paid to reward the most offensive teams. Those 3 teams run in numbers, run to get back to defend in numbers, run , run, run. If you are not young, quick or 200cm tall do not play AFL football. That is what makes the Eagles and Bullies so exciting. They have several of every body type, left foot and right foot kickers, depth, speed, marking power than everyone but Hawthorn. 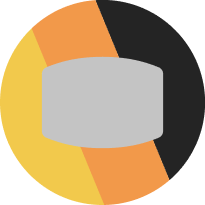 And Hawthorn have won 2 titles in a row….which is why they are favourites. And yet today the Bullies were slaughtered in the run home and that made the Eagles the team to beat. There are many reasons. Depth. System. Goal scoring power. Hill, Kennedy, Sinclair, Darling, Le Cras, Cripps, Yeo, Shuey …even Natanui can kick a brace or two. And they have Schofield, Lycett and Masten to come back in to this team. There are some concerns for the Eagles. Shannon Hurn makes some poor decisions, doesn’t tackle well, kicks and handballs with indecision. The lack of height in the back 30 metres is a concern, even with Schofield back. Hurn needs to clear his mind before acting. I just found the Eagles back half players a little tardy coming out of defence at times…something good teams punish. The Eagles won by 77 points after being up by 30 at 3 quarter time… which means they kicked 8 unanswered in the last quarter. But it is their carelessness around handball, 50-50 contests, broken play, turnovers in general that needs to tighten up. They are free-wheelers, but I haven’t seen free-wheelers win a Grand Final in a long time. Only teams who bury their tackles, punish the poor handball or kick from the opposition, and turn the ball over infrequently can win a Grand Final. So Dockers 64, Eagles 62, Hawks 56, Swans 56, Richmond- Bullies- North 52, Crows 50 is the 8 with 2 rounds to play. Footnote: Luke Hodge should get 3 weeks for what he did to Wyngard. Nat Fyfe has no case to answer. The reason Australia takes until the morning of the game to name its’ team is because that is how the ICC rules may be applied. 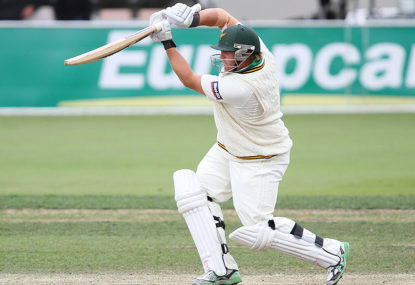 Rod Marsh was within his rights to pick Pete Siddle over Darren Lehmann and Mike Clarke’s wishes, which was to have Pat Cummins as the 4th quick on the morning of the match. Great that this story has gotten out because it is very positive. But the tenor of Marsh’s decision is like all his decisions this Ashes Series. He has opted for age and experience in all places…first! Then when his team fell apart because they were too old and injured and distracted…he had nowhere to go. Siddle was the last card he played. Haddin, Harris, Watson, Clarke, Voges, have had little or no impact on Australia’s 2-3 loss of the series. Steve Smith could easily have captained from the First Test, and players such as Pat Cummins, Pete Siddle, Shaun Marsh, Glenn Maxwell, Joe Burns, Mitch Marsh, Michael Clarke could have always been in the squad selected for the West Indies and then England. I see no reason not to have done that. Michael Clarke could have toured without the responsibility of captaincy…..and Smith could have continued on after the Indian Series back in Oz and captained in the World Cup. No reason why Clarke couldn’t have played in the World Cup or on any of the Tours…and had he failed, he could have been dropped. So the non-selections of the 2 Marshes in more than a couple of Tests, Maxwell, Burns, Cummins, Siddle also being left out, has meant Australia have been overweight with aged, distracted and injured players past their prime. The worst example is Ryan Harris. Best bowler in English conditions Australia has ever had…but he knew and the Selectors knew that his knee was bad even before he lobbed in London to start the tour. Siddle and Cummins should have been available for the First Test. I hope that Cricket Australia, Rod Marsh and Darren Lehmann learn by these mistakes. Australia is a proud cricketing nation…the best in the world…and the decision making has not been positive towards younger players for too long now. It’s lovely that Australia will win this Test…but the Yogi Berra of Australian cricket, Rod Marsh will be kicking himself. Not for over-ruling Michael Clarke and Darren Lehmann and picking Peter Siddle as he did, but for not playing him earlier in the Series. Rod is a bear of a man and he is very firm and hard to get past. When he knows he has the ear of Wally Edwards and the Board, he takes charge. That has been his modus operandi when he led England. It is the same now. Australian cricket has always had men who stood up and counted for something when the chips were down. Rod and Darren have done that. I have been their harshest critic on this Tour and I maintain they have made too many philosophical, sentimental mistakes….yet here they are winning the final Test match and restoring value to the effort by Australia to never quit in any Test match or Series. Hannah Barberra had a real life Bear to build his Yogi Bear character around. Yogi Berra, was catcher and Captain of the New York Yankees. He had a reputation as a durable, stickable, simple, fun loving bear of a man who stood for all the right values…and a lot of funny utterances. Yogi and Rod are the same man in different eras and in different worlds. Funny, firm, stands up for their team and the player’s rights…and fiercely loyal and determined. Right man, right time, right place. But I think there is a new era coming. One where youthful faces will replace the old fogies in Cricket worldwide and the game will move on from the disgraceful BCCI, ECB and CA running of the ICC. Not by ignoring the values that got us to where we are…but stepping into a new world of cricket where expansion and seizing the moment become paramount. Could Pat Cummins have scythed through England the way Pete Siddle has done so magnificently? We’ll never know. No Pat, it has nothing to do with your body odour…a lot to do with your accuracy and Rod wanting you to develop a Pete Siddle mentality and be frugal and fierce and fearless. That is what Siddle has stood for. That is what Marsh is. When you have scythed thru lineups at home and proved your durability, that’s when Rod will pick you. Darren and Mike wanted you. That’s compliment enough, and your time now will come in the ODI’s. But today was Pete Siddle day. There is an element of “tired and disinterested-ness” in this England performance at the Oval…but it’s useless trying to tell the Australian team that. They had bowling heroes and batting heroes at Lords and here….and they were ambushed by the toss and the weather at Trent Bridge and Edgbaston. That is why tosses should be scrapped and take the “adventure” out of cricket and provide certainty for visiting teams. Tests 1-3-5 , the home team gets to choose who bats or bowls, Tests 2-4 the Visiting Team chooses. There is no one on this earth who could convince Rod and Darren and the boys that England are a better cricket team….but the lesson is simple. If you don’t have luck with tosses and weather, and you can’t bat, field and bowl slightly better than England in English conditions , you will lose the Series, as has happened in England for 20 years. There is no point having an inquest into the performance. We knew BEFORE we went that we had to be able to cover swing and seam in England at some point in one or more of the 5 Tests…and we could not do it! The Batting Instructor and the Bowling Instructor have not covered off on these matters for 4 years now, against spin and Sub Continental wickets either. And the mentality of Rod and Darren in picking the old guys has been seen to fail….just! For me, the time for change is right. Justin Langer is as tough and durable and contemporary a leader as there has ever been in Australian Cricket. Simpson, Buchanan, Arthur, Bayliss, Neilsen, Lehmann…none have the contemporary savvy and respect that Langer has. He is what Australian Cricket needs now. •	Pretend that you always knew that Peter Siddle and Mitch Marsh would look like the best bowlers in England on the Australian team and that you didn’t select them for every Test because you forgot which hotel room they were in and couldn’t contact them. •	Pretend that you didn’t actually pick Haddin, Watson, Voges, Harris for this tour….they just stowed away and 3 of them treated it like a farewell tour of Europe. •	Pretend that you actually invested in youth in the Australian Programme all along because Mitch Marsh and Josh Hazelwood are 22-25 and make the team average age closer to 30. •	Claim that you always were going to drop Brad Haddin after the Cardiff Test and that Pete Nevill would just make it under the 30 years team average age and you always knew he was always going to succeed. •	Take Fawad Ahmed on all future tours to remind Australians what a leg spinner looks like. •	Never bowl when you win the toss at Edgbaston because you might win the Test…and we wouldn’t want to offend the Poms now would we? •	Find as many old Cricket Axioms as you can in your Cricket Almanac and chant them mantra-like every morning to forget that cricket has actually changed. •	Pretend you always knew Pat Cummins was never going to play in England and that he was just there for “the drinks waiter and gloves carrying experience”. •	Pretend that Australian batsmen were in the capable hands of Mike Di Venuto and that they would be technically equipped to handle swing and seam by the Gang of 5 English bowlers. •	Pretend that Craig McDermott was the best bowling coach to show Australians speedsters how to swing and seam the ball both ways in England, and that he had the strategy to coral the English batsmen with competent field settings and bowling plans. •	Pretend that the ODI team you picked was better off with Shane Watson and George Bailey in it because they are the future of cricket in Australia. •	Pretend that players such as Maxwell, Burns, Bancroft, Khawaja, Lynn, Maddinson, Zampa, Agar were not ready for the Ashes Tour when Mitch Marsh and Pete Nevill were. •	Pretend Andrew Strauss would never be able to pull together a coach and team which would lead the Ashes 3-1 going into a dead Rubber. •	Pretend that Test Cricket is a game solely for “old blokes” when Ali, Root, Stokes, Broad and Wood, who are all under 30, were the “finds” of the English summer. •	Pretend you are Cricket Australia and you have the best group of Coaches and Selectors to take Australia forward. Then try to wake up to reality! Footnote: Of course a 2-3 loss in the Ashes is honourable, just like 0-3 was in the last one. It is not easy to win in England. Australia won 2 games this time, and that is a huge positive! But we lost the Ashes for the 5th successive time. If we are to go back in 5 years or less, and play them Down under in less than 2 years, we need far better coaching and strategy and to hone younger players to achieve that. And Justin Langer is the only man I know in Australia capable of that …unless Trevor Bayliss resigns his post in England, which he would be crazy to do. The ECB seems to know better than the CA people what strings to pull to win . The bottom line is there is not much between Australia and England but we had the chance, again, to prepare a team to win…and we flopped in many different areas. Bad things happen to teams who leave too many things to chance, which is what this team led by Marsh and Lehmann did! fairly positive Ajay…you’ve got the picture.